Logo created for a fictional hot sauce. 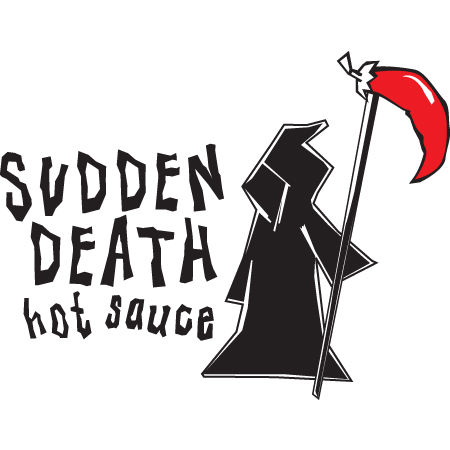 I wanted to portray Death (the grim reaper) instead of sudden death as “time” because I felt that it worked well with the concept of a “deadly hot” sauce. It was either that, or Jean-Claude Van Damme in the rafters of the Igloo in Pittsburgh circa 1994.